Somewhere there’s an echo of RL Stevenson and his Modestine wandering the French hills. Brian Sewell reinvented as Mr B for the purposes of the book, dashingly rescues a donkey in distress out of Peshawar’s traffic mayhem. The fact that he is part of a documentary film crew doesn’t perturb him at all – he abandons the crew blithely on a moment’s impulse, determined to rescue the donkey from a burdened life unbefitting for a creature so young. Pavlova, as he christens her for her long legs, is barely out of foal hood and no larger than an Alsatian. Mr B charts out a plan to walk 5 miles a day and so cover the distance from Peshawar to London, in between retracing the footsteps of Alexander the Great, if he can. The result is a charmingly old fashioned tale of a man with a recognisably British white canvas umbrella who manages somehow to get himself and his donkey across various borders travelling in various kinds of transport. Of course, ultimately there isn’t very much walking involved since Mr B is lucky at falling into the right company. Pavlova and the umbrella win the hearts of people, who generously link them up with vans and trucks going in the right direction or book them on trains. Though he does meet an interesting cast of drug smugglers, carpetbaggers and ambassadors and has to wash a lot of dirty linen. 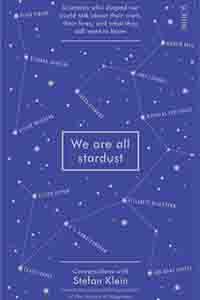 Sewell’s book is a novella with delightfully quirky illustrations by Sally Ann Lasson. 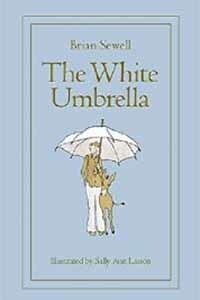 The White Umbrella, despite its gentle idealism, is certainly not a children’s book because many of the references will be unfamiliar to the average child. Certainly Sewell is better known for his art criticism in England and for the 83 year old this is new ground – however, his stated intention was to introduce children to the world around them. It is designed to appeal to an audience familiar with Fortnum and Mason hampers and Coutt’s where the Queen banks -– linking Coutts with Gringotts would not occur to everyone. Even the white umbrella from James Smith & Sons which perhaps doesn’t deserve as much attention as it gets in the title since after a while it vanishes, losing its pristine attraction. 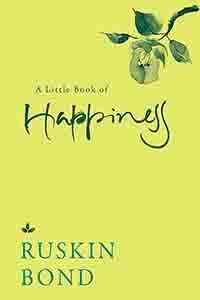 For the fans of Beverley Nichols and a gentle world of scholar gypsies with quotations from Omar Khayyam and Shelley however, there is contentment in store.